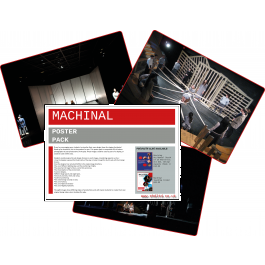 A pack of eight, colour, A4 photographs to use with your students when trying to get them to create their own design concepts for Machinal. •the use of digital projections. The eight images show differing styles of productions and will inspire students to create their own original design ideas when tackling this play.